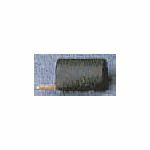 The Auburn P-20B is a PASSIVE 10:1 RF VOLTAGE RF PROBE with a 50 Volt DC BLOCK built in. It has been designed to allow users of RF test equipment to use standard signal tracing techniques. The P-20B makes it possible to conveniently and accurately monitor or inject signals up to 12 GHz into RF circuits without significantly loading or detuning them. 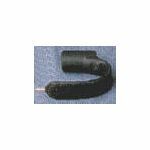 The P-20B comes with Interchangeable Ground Clips that adapt to a wide range of applications. 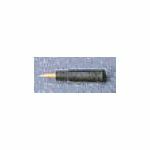 P-20B Auburn Technologies RF Probe Includes replacement tip P20AL. 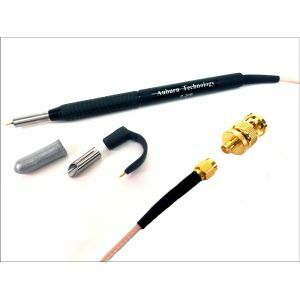 Purchase an Auburn Technology P-20B 12Ghz RF Probe Today.